The first step is to open an existing Xcode project. 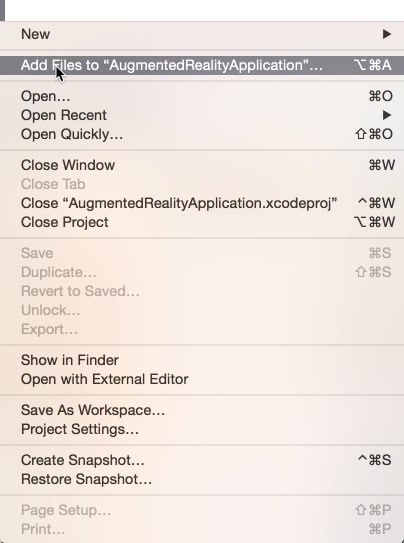 If there is no project available, create one using the Xcode project setup wizard. At first, create a new directory in your project structure and name it e.g. Frameworks. Copy the downloaded WikitudeSDK.framework into this directory afterwards. After the Wikitude SDK Framework was copied into an appropriate location, it can be added using the Embedded Binaries panel from your targets General tab (Click on the little plus sign). In the open dialog, navigate to the Framework location and click Open. The Wikitude SDK does not require any other build setting changes. It's fully Module and Bitcode compatible, so no additional system frameworks or build settings need to be changed. The Wikitude SDK requires the use of the device's camera. In order to use it, the NSCameraUsageDescription key has to be set to some text which describes to the app's user why access to his device's camera is needed. Feel free to use our default text "Access to the camera is needed to display augmented reality content on top of your camera image.". If the app also needs to use a geo location, set the NSLocationWhenInUsageDescription key to some text e.g. 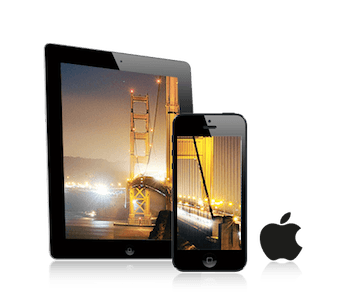 "Access to your geo data is needed to display augmented reality images on your screen.". In case the screenshot generation feature is used im combination with camera roll export, the NSPhotoLibraryUsageDescription key is required, again with some text describing why access is required. After all setup steps are completed, the Wikitude SDK is ready to be used within an iOS application. The class to work with is WTArchitectView. This UIView subclass allows you to load ARchitect Worlds. Since the Wikitude SDK is a Framework, the header import should look like this: #import <*FrameworkName*/*HeaderFile.h*>. 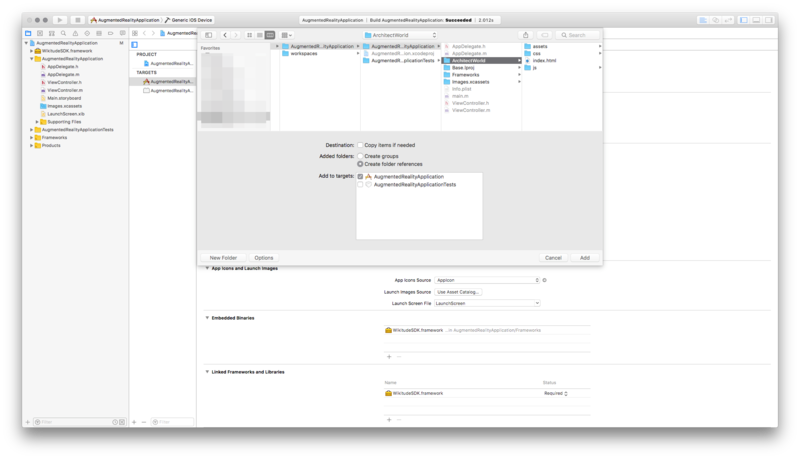 This import is typically done in the UIViewController subclass which manages the WTArchitectView instance. 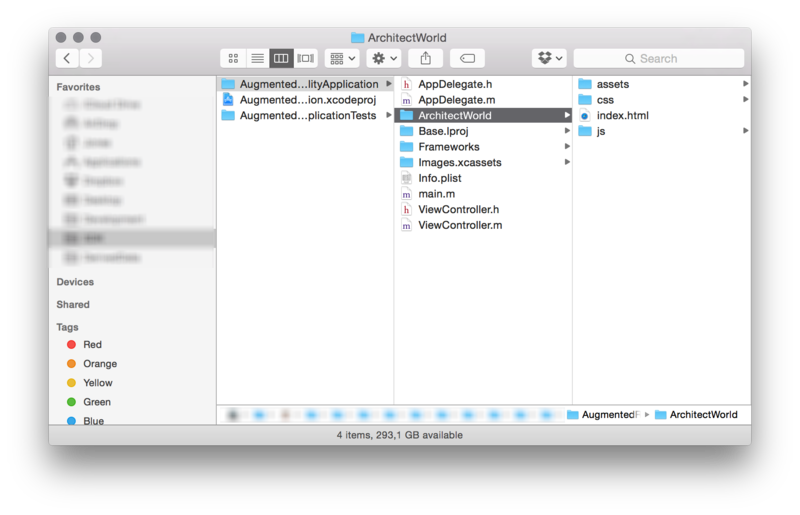 It is common practice to add a WTArchitectView and WTNavigation property to the UIViewController subclass. To initialize an instance of type WTArchitectView in code, use the -init method. If the project uses Storyboards, -initWithCoder: is also implemented and ready for use. The following snippet shows a complete WTArchitectView initialization. Use the isDeviceSupportedForRequiredFeatures:error: method to determine if the current device is capable of running Architect Worlds with certain feature requirements. See the class reference of WTArchitectView for more information. Use the requiredFeatures property to specify which Wikitude SDK features are intended to be used. This helps to only start necessary components. The setLicenseKey: method allows you to pass a string containing the license key. Read this chapter on how to obtain a free trial key. The WTArchitectView instance needs to be added to the applications view hierarchy. To start the camera, the WTArchitectViews -start:completion and -stop methods need to be called. The UIViewControllers -viewWillAppear: and -viewWillDisappear: methods can be used for this purpose. If the UIViewController which manages the WTArchitectView, is present at the moment the application will resign active (User pressed the Home button or an UIAlert is shown) or will become active again, the WTArchitectView needs to be started/stopped accordingly. All the necessary steps to include an ARchitect World into an iOS application are very similar on how to add the WikitudeSDK.framework to an iOS application. finally used within the iOS application. The following image shows a typical Xcode project structure. A new folder named ArchitectWorld was created and an Architect World was added. Back in Xcode, the ARchitect World can be added by choosing Add Files to "*Project_Name*" from the File menu. In the File -> Open dialog, select the main ArchitectWorld folder. Note: Please make sure to select the Create folder references for any added Folders option. This will copy all the files and subfolders to the applications resource bundle in the same structure. Additionally, any files that will be added later in time are automatically added to the resource bundle when you build your application. This is how your project should look like after all steps are properly completed. Architect Worlds can be loaded using the -loadArchitectWorldFromURL: method provided by WTArchitectView. To get the Architect World URL, use NSBundles method -URLForResource:withExtension:subdirectory:. The following listing shows how both methods should be used. Typically this will be done when the WTArchitectView instance was created. The -start:completion:/-stop and -loadArchitectWorldFromURL: methods do not depend on each other, so the order in which they are called does not matter. It is not necessary to load the Architect World again if the WTArchitectView is started again. Loading a new Architect World while another one is already loaded will unload the current Architect World and release all its associated objects and resources. You can now call all the interfaces of the Wikitude SDK from Swift. Add all the additional Objective-C headers you need to the bridging header in order to expose their classes to Swift. Xcode automatically generates Swift-interfaces for them. Swift can't handle the std::shared_ptr that points to the plugin, so we're storing it in our Objective-C++ wrapper. For the initialization of this plugin we need two integer values as well as a UIViewController. Change your init method accordingly depending on which parameters you need for your own plugin. Every input plugin needs to be able to register to and unregister from the Wikitude SDK, so we create methods for both purposes.